Islam is no longer a religion of "peace and compassion"
Hirsi Ali argues that the West treats radical Islam as though it is a "small group of very naughty boys" that hijacked what is still a "religion of peace" and a "religion of compassion," but that this is now far from the truth. "This is called wishful thinking," says Hirsi Ali. "They say that Islam is a religion of peace and compassion, but that is what we want, that is what it should be, it’s not what it is." Hirsi Ali learned Islam as a little girl from her grandmother and her mother, and says for them there was "no interest in politics, in government, in power," but it "was very spiritual." "It was not a political movement seeking to transform the world in its own seventh century image," recalled Hirsi Ali. Then she moved to Saudi Arabia and saw a new type of Islam, where police in the street "command right and forbid wrong." There was a "chop chop" square where "hands were cut off, people were flogged, people were stoned, people’s heads were cut off." "That is the Islam of Hamas. Back in the 1970’s it seemed to me that it was a Saudi thing, but now it has become an international thing." Compromise is not possible without "true reformation of Islam" away from "doctrine of death"
"You can negotiate with fellow human beings with whom you have some kind of common ground"—that is not the case with Hamas, according to Hirsi Ali. "Israel is investing everything it has into life on earth" while "Hamas is investing everything it has into life after death," says Hirsi Ali. 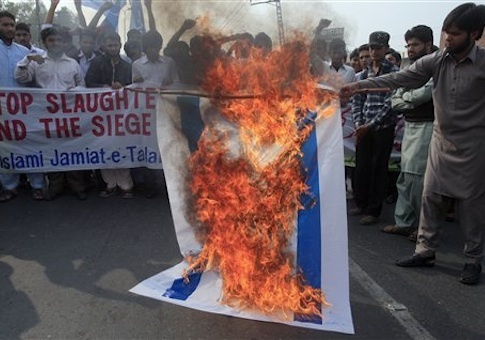 She points to the Hamas recruiting slogan of "we love death, they love life" and their vision of a "utopia" where "the State of Israel must be completely destroyed," "Sharia law has to be established, ideally, all over the world," and women have to "be locked up." 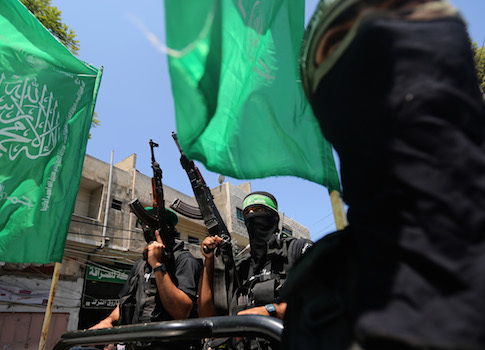 Unless the West is willing to give in to their utopia, "it is pointless to go to the negotiations table" because of Hamas’ "philosophy on life and death." "They welcome death, death, death," says Hirsi Ali. "In the Hamas narrative, which is also the Wahabi narrative and the Salafi narrative, you get to ecstasy and self actualization after you die, not before you die, don't be silly. So now you have millions of people who welcome death, and that is very confusing for Westerners to understand." "For somebody like John Kerry it is too much to understand," concludes Hirsi Ali. "They built a network of tunnels, but these were tunnels built to connect the countryside to the cities or one country to another country, so there would be more trade, more contact. You look at Hamas and you think that they've worked so hard, spent so much money, spilled so much human blood and treasure on building these tunnels, but what is the objective? To destroy and to be destroyed. That is the philosophy of death." Oil money has made Hamas "very strong and very intelligent"
"I watch Hamas television and I see that they are not primitive. 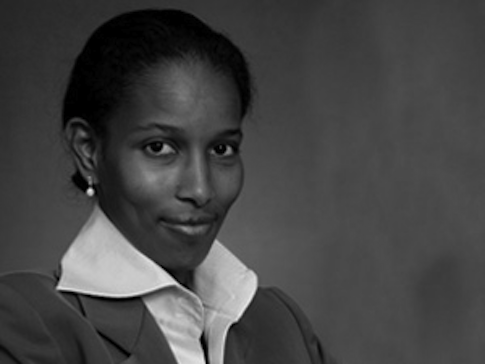 They are very strong and very intelligent," says Hirsi Ali. Its advancement comes thanks to the wealth of oil money that is backing radical Islam. "Back in the 1950s and 1960s and 1970s, people didn't know about the way Qatar funds Islamists. But now we are in the Google age," she said. "There's this big problem that is spreading across the world, with the help of oil money." 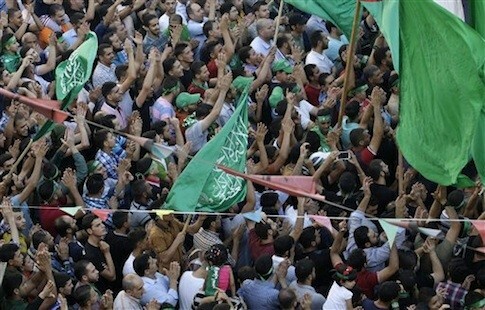 Largely due to a misunderstanding of the Hamas "philosophy on life and death," Westerners see Hamas as a stupid group. "They are incredibly smart and incredibly Machiavellian," says Hirsi Ali. "It is so clear what is going to happen," says Hirsi Ali. 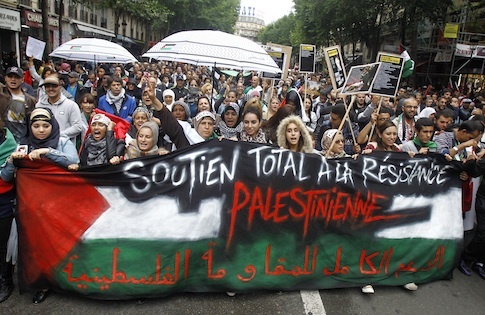 "All these countries that are now condemning Israel will find themselves in exactly the same position as Israel." "They will have young populations that are having many more children than they are, who are high on this doctrine of death," warns Hirsi Ali. "They will be faced with completely revamping their ideas and ideals." Countries such as Belgium and the Netherlands, where Hirsi Ali served in parliament, already have "Shariah triangle" neighborhoods popping up in major cities. She uses the example of second- and third-generation European citizens "volunteering to go and fight in Syria and Iraq and then come back with their citizen passports and cause mayhem." Hirsi Ali admires Israeli Prime Minister Benjamin Netanyahu and thinks that "in a fair world" he would be awarded the Nobel Peace Prize. "He is under so much pressure, from so many sources, and yet he does what is best for the people of Israel, he does his duty," says Hirsi Ali. "You are living in a hornets' nest. 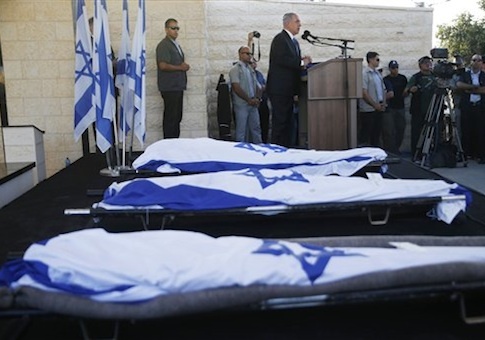 Israelis cannot pretend for too long, if you have tunnels being dug under you and rockets flying above you." "He got it before the performance, not after," Hirsi Ali said. "He doesn't have to play, he already received his Oscar." This entry was posted in National Security and tagged Barack Obama, Benjamin Netanyahu, Hamas, Israel, John Kerry, Terrorism. Bookmark the permalink.